Welcome to the second TV thread. Come in to talk about television displays, HDR/Dolby Vision, tips/tricks/settings and more. If you need help picking out a TV, whatever your needs, please ask! Thread will be updated regularly as new models and information come out. One the to add since it came up countless times in OT1: while OLED may be considered by many to be the best TV tech widely available today, it is not perfect. As the thread title states, there is no perfect TV. The overwhelming majority of regulars in this community will not blindly suggest one tech or another, instead working with you, your use cases, your room layout, your preferences and your budget to land on the best set...for YOU. Burn-in is a concern for many gamers. OLED TV's have a low risk for permanent image retention with varied/general use. The colors red/orange are most susceptible, and display brightness impacts the chances as well. Many OLED owners on Era have put in well over 100+ hours into games (without varied content) and have not experienced permanent image retention. Kyoufu on the other hand has a Netflix logo burned in, something that seldom appears on screen. The poll conducted at AVS below have 9% of OLED owners experiencing permanent burn-in. Having owned 4 OLED's, my personal opinion is that outside of panel lottery, permanent image retention is unlikely. 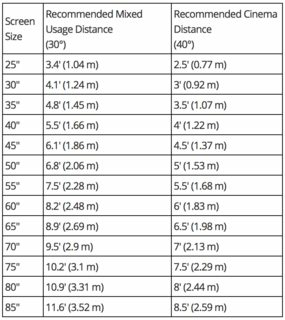 Below are two resources worth looking at when researching OLED burn-in. Special thanks to Gn0mercy for his excellent work on OT1 and for telling me after 19,900 posts that he couldn't do OT2! Also, a special thanks to GearDraxon for putting together the utterly amazing banner! Lastly, a special thanks to Dinjooh for the dope headers!! Oh wow, the new thread came sooner than expected. I respect the Rtings crew but I've always found their system lacking. Yeah, it is totally objective, but sometimes the results are misleading. For one thing I'm pretty sure some manufacturers have figured out that they should optimize certain algorithms to get high scores on test patterns and get overall good marks. This is why I like Vincent Teoh's approach. He will put up test patterns and take most of the same measurements, but then he puts up real world content and discusses how those results translate to real world viewing. For example, the Q9FN got tremendous contrast scores on Rtings. I think with local dimming the contrast ratio was 19K:1 or some ridiculous number. Basically the best ever tested on an LED. But when HDTVTest reviewed it, Vincent demonstrated that to get such a high score meant the local dimming algorithm was way too aggressive. He used a scene from Gravity where almost all the stars disappeared on the Q9FN, but the Z9D still showed most of them. Even setting local dimming on low on the Q9 didn't have it outperform the Sony. You can't go by test patterns alone. Still curious about that new Samsung tech MicroLED. And still trying to configure my UN40JU6000G. Maybe I go back to BRAVIA after all. Nice job OP, great to see HDR section! This may be a little OT, but am I right in thinking that there's no way to watch Marvel movies in 4k/HDR in Canada unless you have a physical Bluray player? FYI we don't have Vudu up here. I respect the Rtings crew but I've always found their system lacking. Yeah, it is totally objective, but sometimes the results are misleading. For one thing I'm pretty sure some manufacturers have figured out that they should optimize certain algorithms get high scores on test patterns and get overall good marks. This is why I like Vincent Teoh's approach. He will put up test patterns and take most of the same measurements, but then he puts up real world content and discusses how those results translate to real world viewing. For example, the Q9FN got tremendous contrast scores on Rtings. I think with local dimming the contrast ration was 19K:1 or some ridiculous number. Basically the best ever tested on an LED. But when HDTV test reviewed it, Vincent demonstrated that to getting such a high score meant the local dimming algorithm was way too aggressive. He used a scene from Gravity where almost all the stars disappeared on the Q9FN, but the Z9D still showed most of them. Even setting local dimming on low on the Q9 didn't have it outperform the Sony. I agree with a lot of what you write which is why I would ALWAYS recommend consuming multiple reviews for a significant purchase like a TV. 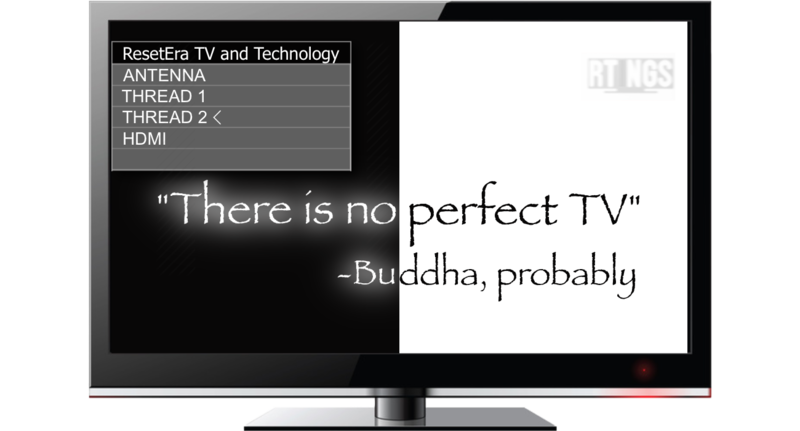 Rtings is always my starting point when I want to read thoughts on a TV...then I'll dive deeper. So is the X900E not available in Europe at 49“? The Panny 902 was similar to the Q9FN in my exp, 902 smashed the ZD9 in blacks, but muted peaks on its highest local dimming setting level, I could never feel content, i wanted the peaks and the blacks, and soon realised that low zone LCD's can't achieve that, and yeah I do mean 500/600 as low. Seems like OP should mention the LG OLEDs have updated to the 8 series, and Samsung’s QLEDs seem worth a mention for their early adoption of VRR if nothing else. Also, add this image to OP? We should work on a list "best stream 4k/HDR presentation"
RedlineRonin why haven't you been telling me how important Audio is to the TV viewing experience!?!? I just hooked the Denon + B6.2s up - didn't even run Audyssey - and watched Mad Max on Vudu and it was an entirely different experience. And that's just two bookshelf speakers as fronts!!! I was planning on getting a 4K TV somewhere later this year so this is a welcome thread, thanks Bumrush! That TV type comparison from HHgreg is super bad lol. Still love my LG E7. Only problem I have is that sometimes, when the Xbox One X is connected, it loses the video signal. I have to disconnect and reconnect the xbox (either hard disconnect, or power on/off) for it to come back up. Hey guys, I'm thinking of adding bias lighting to my tv setup. I have my Q7FN TV flush mounted to the wall and was wondering if it's still effective to add the bias lighting along the back of my TV cabinet (BDI Ola) instead of the back of the TV. There is probably a 16 inch gap between the bottom of the tv and the top of the tv cabinet. I will likely use a Philip's hue lightstrip. The hdmi cord very well may be the culprit. Will we see Sony Z9D successor at IFA 2018? 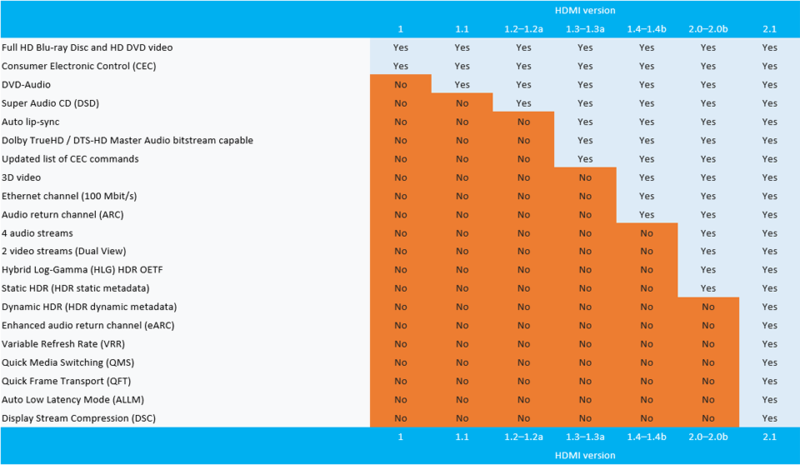 It’s from the same article that has the HDMI 2.1 comparison image. I would just link it. As long as there is more light it will help. I have a lightify strip running along the wall on the ground by mine and just an echo to turn it in set it to brightness etc. Godddddamn I love my OLED. The only people who wouldn't are those who play 14 hours straight with a HUD on screen and people who can't afford one yet. Honestly, it's glorious. Only problem is you find yourself hating all other screens. The Switch looks crap now. The TVs at my work and that all my friends have are garbage. I was watching Lost in Space with Dolby Vision on my C8 yesterday and I'm mixed on the image quality. Some scenes after very nice indeed. But there are some dark scenes that become a mess. I noticed this in episode 3. I checked the bitrate and resolution and it wasn't my network connection causing the issue. To be honest even with burn-in on my OLED I still love it. You just can't beat those blacks. I'll be going with OLED again unless Sony blow me away with the ZD9 successor. I don't know they still have issues. I still am a little frustrated with the handling of motion due to sample and hold. How did you get burn in? Netflix's red logo in the browse section of the app is what did it for me. I want a holographic OLED. I think the chart should be viewed from the perspective of guaranteed support. Good point! I'll swap that out. I sure do hope they're guaranteed. People have been saying the full range of 2.1 features may take years to be supported across the board. Has anyone with a TCL ran into problems lately? Every one I’ve installed in the past month or so has done wonky stuff post-update. The only way I can fix these bugs is by pulling the plug and letting it hard reset. The most common problem seems to be receiving a strobing, glitched looking screen when attempting to launch an app. Today, I was greeted with a backlight that refused to activate. Again, a hard power cycle seems to solve these issues, but it’s highly concerning. Awesome new OT. Been mostly lurking in the old one for the last few months. Still rocking my LG C6 OLED and loving it. Got a very solid panel with no complaints. No plans to upgrade anytime soon either since my significant other is a huge fan of 3D so unless that makes a comeback I'm on this one until it dies. Right now I'm hoping MS brings DV to more than just Netflix and other streaming apps. Trolling hard with that announcement. Thought rollin over to a new OP was gonna change it huh? I mean, my claim to fame is in the OP itself. Dunno what y'all are so surprised about? Burn-in is a thing. That's last years model, which will probably become harder and harder to find. 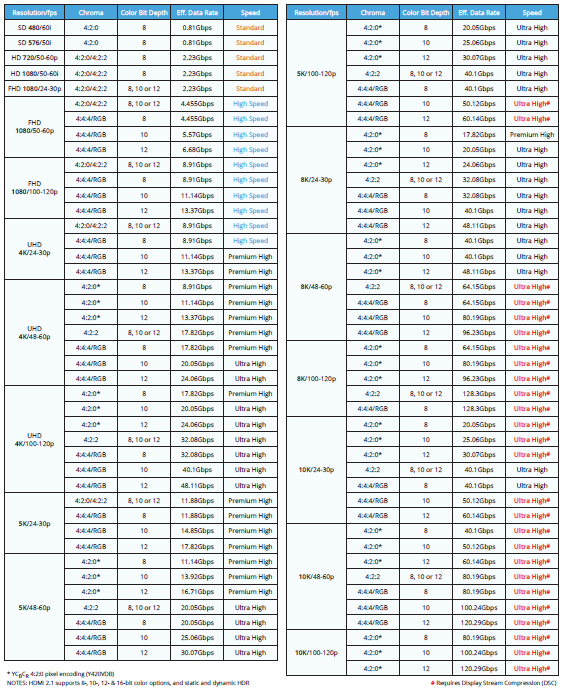 The ones ending in F are this years models, I think that one is called the XF90 in Europe and X900F in the US. Sub'd. Just wanted to say how much I appreciate y'all helping me spend almost $4000 on Tv's in 2018 lmao. I’m like the Martin Luther of audio. Just a pious guy, goin around preaching the good word of high quality sound. So the C8 is a little brighter but could also be due to panel variance. I much prefer the base on the B8 too. Just wish it was a couple hundred dollars cheaper. For sure. Can't wait to complete it all! Like I said in the last thread, I'm not buying Rtings' conclusions here. It makes no sense. If this were accurate LG would never sell another C8. My Panasonic TH-42PZ85U from 2008 is still trucking along, but how long do Plasmas typically last? I'm guessing the power supply will be the thing that kills it.